The New Era Baha’i Choir kicks off its 2014 performance schedule by once again performing at the South Perth Foreshore citizenship ceremony on Australia Day. 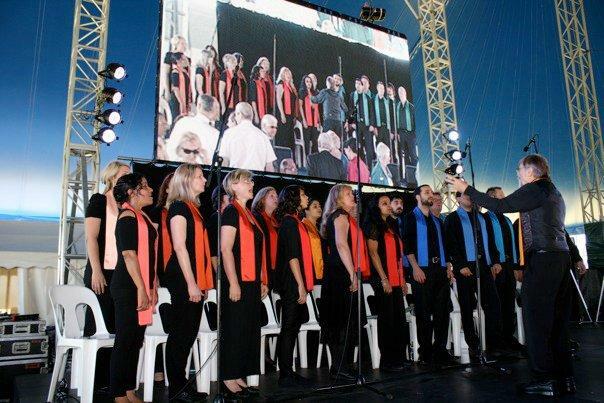 As an opportunity to provide a service to the City of South Perth and welcome Australia’s newest citizens with song, the choir has been proudly supporting this significant community event for many years. Distinguished guests include His Excellency, Governor Malcolm McCusker, Mayor Sue Doherty, State and Federal Members of Parliament and consular representatives. As many of you know, I have kidney cancer. It was diagnosed in June 2010 and is terminal. That’s the bad news. The good news is that I have survived longer than expected and am still able to serve my All-Glorious Lord and humanity through my music. Our next performance is supporting the Lung Foundation’s “Shine a Light on Lung Cancer” initiative, November 30th at the Crawford Lodge in Nedlands. 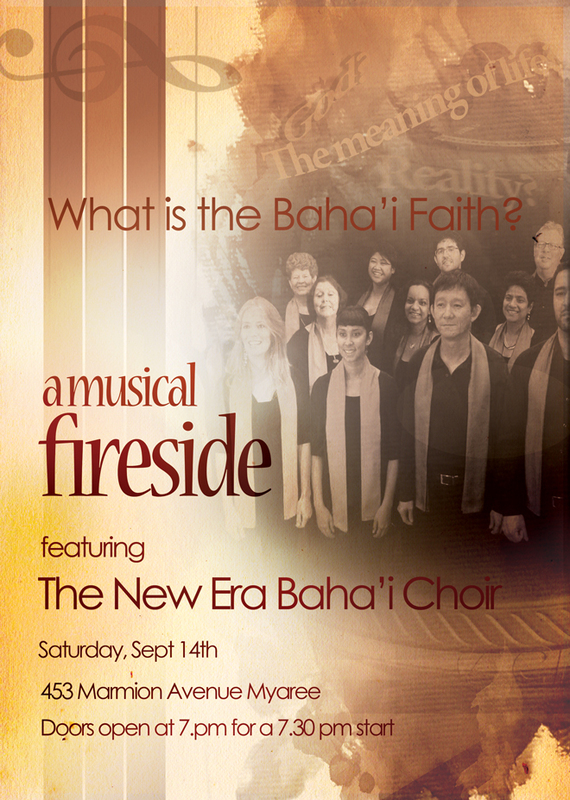 The New Era Bahá’í Choir’s next performance is on the evening of Saturday, September 14th at: 455 Marmion Street, Myaree. Interspersed with great songs, we investigate eternal truths that break down the barriers that divide us and reveal the Reality that unites us. What does it all mean? Come and find out and enjoy a cuppa and a chat with the cast after the show. In June 2010 Kensington musician Greg Parker was diagnosed with terminal cancer and doctors told him that, at best, he would live for only two years. Two years and three months later Parker is not only full of life he is in full creative flow directing The Servant, a musical that he has written. “I have terminal cancer but I refuse to die,” Parker jokes. What Parker thought was a groin strain turned out to be the final stage of kidney cancer. Doctors put him on a new drug but warned that his body would build up resistance to it. 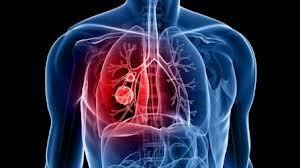 He has since undergone five operations including a hip replacement and he has had courses of radiotherapy. For many months he was in a wheelchair. But throughout the ordeal he has remained upbeat and puts much of it down to the power of constant prayer and a weekly flood of support from family and friends around the world on his Facebook page. 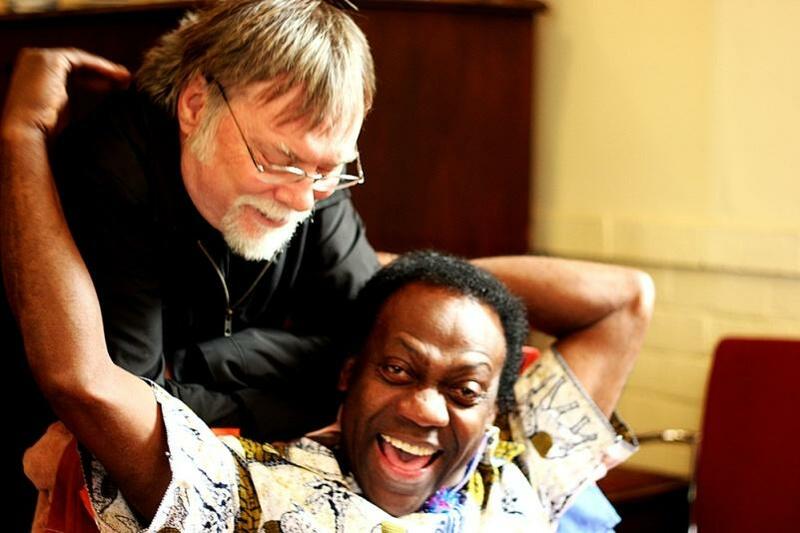 Before his illness Parker, a member of the Baha’i Faith, made his mark with the New Era Choir, which he founded, and two musicals as well as writing and performing regularly. Since being diagnosed Parker has already written and staged two more musical productions for the Baha’i community. But The Servant, which will be performed over two nights in October, is what he regards as his greatest achievement. “The anniversary of my impending death was approaching so to be defiant I decided to schedule a show,” he says. “I planned it for June — the two-year anniversary — but in January I had to have a hip replacement and recovery was very slow because of the cancer drugs, so I couldn’t start work on The Servant until after that. Remarkably, with all the pressure of staging the show, he is feeling better than at any time in the last two years and his doctor has agreed to take him off his medication for a few weeks. The Servant marks the centenary of a journey to the West by ‘Abdu’l-Baha, who was a central figure in the Baha’i Faith, an independent world religion. The faith started in Iran in 1844 and ‘Abdu’l-Baha, the son of its founder, Baha’u’llah, took it to Europe and the United States. “I want to honour his extraordinary life,” Parker said. “He received a rock star-like reception from the Western media and had a great influence on the thinking of his time. Parker has assembled a cast of 27. The stars are Gary Sterling, Shameem Taheri-Lee, Amber Nicholls and Parker’s own New Era Choir. The American-born Sterling is a professional singer from Sydney. He first sang gospel at the age of 10 in church in Savannah, Georgia and emigrated to Australia in 1991. He works as a cabaret singer and his favoured genres are rhythm and blues, blues and jazz. But he adds that there is a wide variety of musical styles and he is enjoying the challenge of singing them. Parker knew of Sterling, a fellow Baha’i, but had never worked with him. He had heard Sterling’s rich baritone voice and knew that he would be perfect for the leading role. WA Academy of Performing Arts graduate Taheri-Lee is a rising star of the Perth jazz scene and Nicholls sings in local band Waiting for Andy. The Servant features 16 songs, all written by Parker. After The Servant Parker’s next goal is to climb Bluff Knoll, in the Stirling Range, in November with a group of friends. Then Parker plans to “take a year off and write another musical . . . and live long enough to see The Hobbit Part 2 at the end of next year”. His forward thinking is all part of his strategy of setting himself positive goals. Another key strategy is calling on the support of his family and friends around the world through his Facebook page, where he writes regularly about how he is faring. “We need to learn to draw on each other in times of need,” he says. “If you need support, you just have to ask for it. I have hundreds of people across the world thinking of me and praying for me. I have a sense of all this support. The Servant is on Saturday, October 13 and Sunday, October 14 at Hale School Auditorium, Wembley Downs. Tickets are $25 from www.newerachoir.com or phone 0468 485 595. Performed by Shameem Taheri Lee. “Glory be to Thee, O God, for Thy manifestation of love to mankind! O Thou Who art our Life and Light, guide Thy servants in Thy way, and make us rich in Thee and free from all save Thee. O God, teach us Thy Oneness and give us a realization of Thy Unity, that we may see no one save Thee. Thou art the Merciful and the Giver of bounty! O God, create in the hearts of Thy beloved the fire of Thy love, that it may consume the thought of everything save Thee.